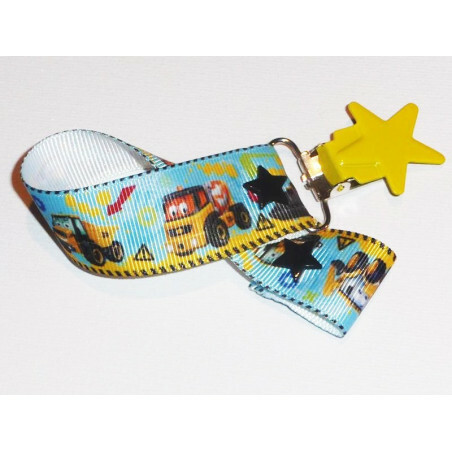 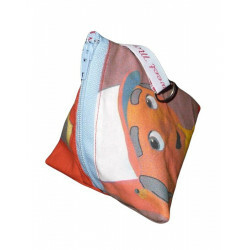 Indispensable, the pacifier / lollipop "VEHICULES DE CHANTIER" detachable with its yellow metal star clip , attaches to the baby clothes. Closing system that allows to vary the clamps and pacifier clips according to your desires. 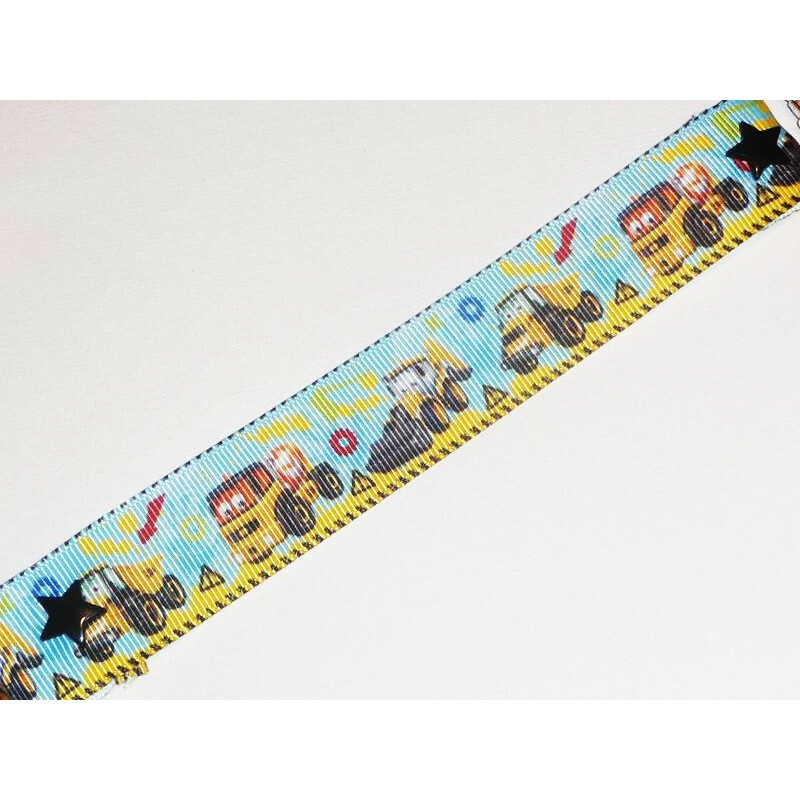 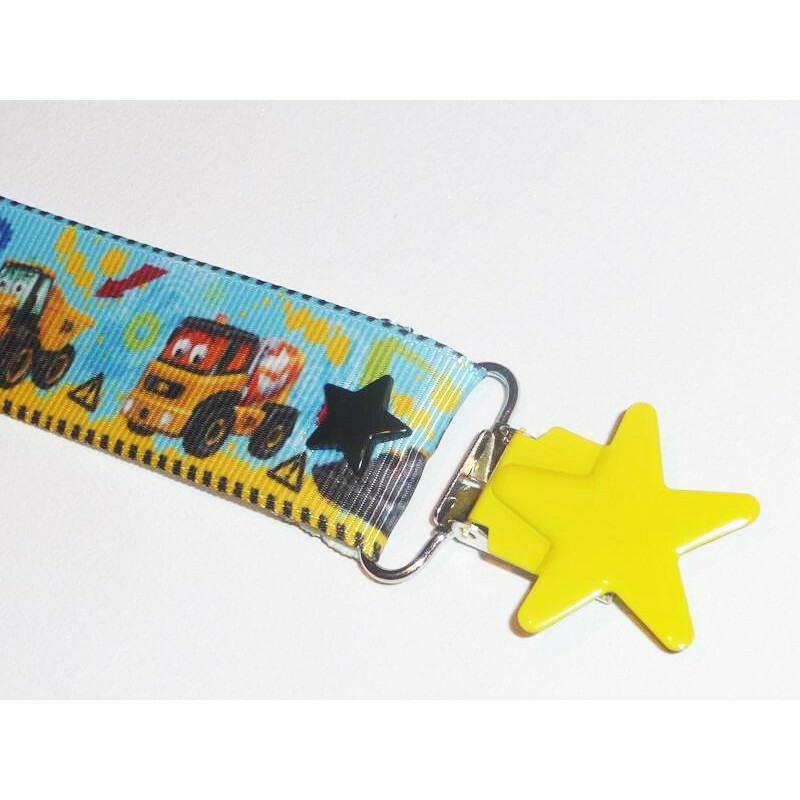 MATERIAL : Grosgrain ribbon "Construction vehicles" / Clamp: yellow star metal / Pressures: black stars in resin.